I found the jury’s decision hard to believe, despite McCulloch’s detailed account of the facts it considered. Then, just three months later, another grand jury acquitted another police officer, this time Daniel Pantaleo, in the death of Eric Garner. I didn’t hear the jury’s verdict that time, but I read the words, and I watched the video of the scene the day that Garner was arrested. This acquittal was even more unbelievable. I felt grief and anger that neither of these police officers were charged for their actions, but I was at a loss about what to say or do that would matter in the cause to end what I perceive as a racist justice system. New York Times columnist Charles M. Blow offered some hope in his op ed column, A New Age of Activism. “If there is a unifying theme, it is at least in part that more people are frustrated, aching for a better America and a better world, waking to the reality of the incredible fragility of our freedoms, our democracy and our planet…And it is a collective expression of moral outrage over systemic bias.” And yet, Blow recognizes that this kind of “people power” doesn’t necessarily translate into political power. It’s been thirty-five years since I’ve lived in a racially diverse community. Throughout my life, I’ve had the privilege of not experiencing racism’s effects personally, although I believe that racism burdens all of us, regardless of our race or ethnicity. But, after this moment of “the exhaling of pain,” what can I do from my homogeneous, bucolic rural community in the far Northwest corner of the U.S.? Lately, I’ve decided to follow the urgings of former attorney Janee Woods: “White people who are sick and tired of racism should work hard to become white allies.” She offered twelve helpful suggestions in Twelve Things White People Can Do Now. I’ve been working on two of them. #4. Understand the modern forms of race oppression and slavery and how they are intertwined with policing, the courts and the prison industrial complex. 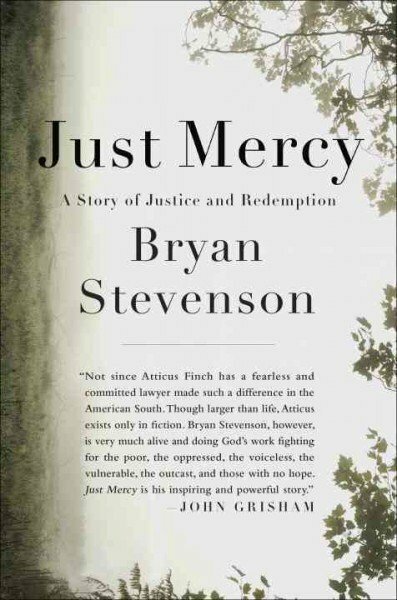 Stevenson puts names and faces on the reality of bias in our legal system as he describes his work with death row inmates, wrongly accused. He also relates his own story of being harassed by police officers while listening to music on his car radio outside his own apartment one night. Somehow, despite his decades of work (and no small number of failures at winning the release of people on death row) he hasn’t given up his quest for the ideal of compassion in the U.S. justice system. 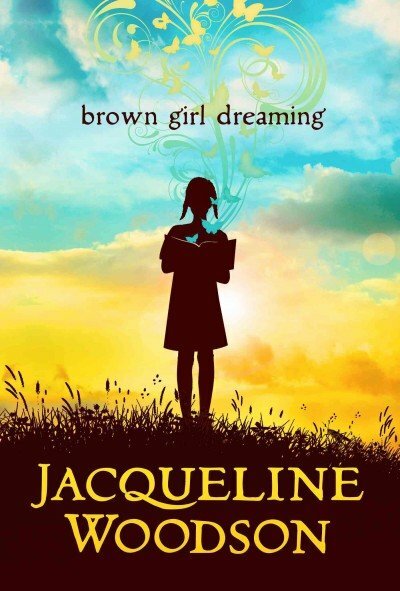 I no sooner finished Just Mercy and wrapped it up for Christmas for my son and daughter-in-law (sorry guys, hope you don’t mind a lightly used copy) than I started on Brown Girl Dreaming, this year’s winner of a National Book Award. Jacqueline Woodson tells her story, in poetry, of growing up in South Carolina and Brooklyn, NY in the 1960s and 1970s. Woodson talked about her book earlier this month on Fresh Air, too. I’m also paying more attention to information available from some sources I already know and trust such as this piece by the American Friends Service Committee: “Addressing Racism in the U.S. Justice System: An Analysis”. Fit for Freedom, Not for Friendship by Donna McDaniel and Vanessa Julye documents the spiritual and practical impacts of discrimination in the Religious Society of Friends. James Baldwin’s Notes of a Native Son, an essay collection published in 1955 about Baldwin’s search for identity as an artist, as a black man, and as an American. I know there’s much more for me to read and to learn, and many more ways to act. I welcome your ideas about ways to become a white ally. Iris, I would like to reblog this–is that ok with you? Unlike my friend Iris, I have lived pretty recently in a very racially diverse town, Tacoma…and I miss that more than I can say. Now that I live on such a white island, though, she speaks my mind very closely in this post. Please, read on.